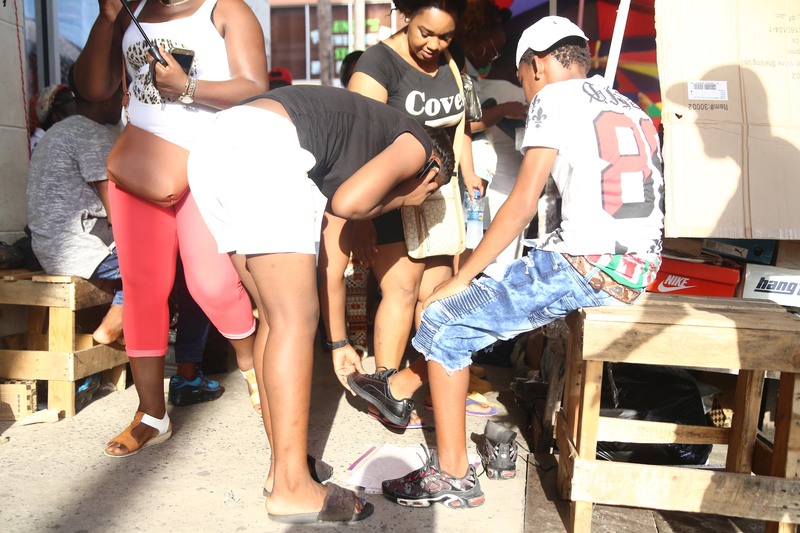 If the shoe fits: A mother helps her son to try on shoes on Regent Street yesterday. 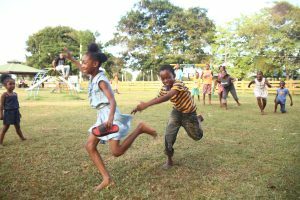 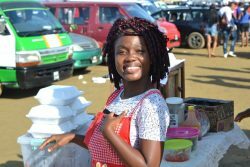 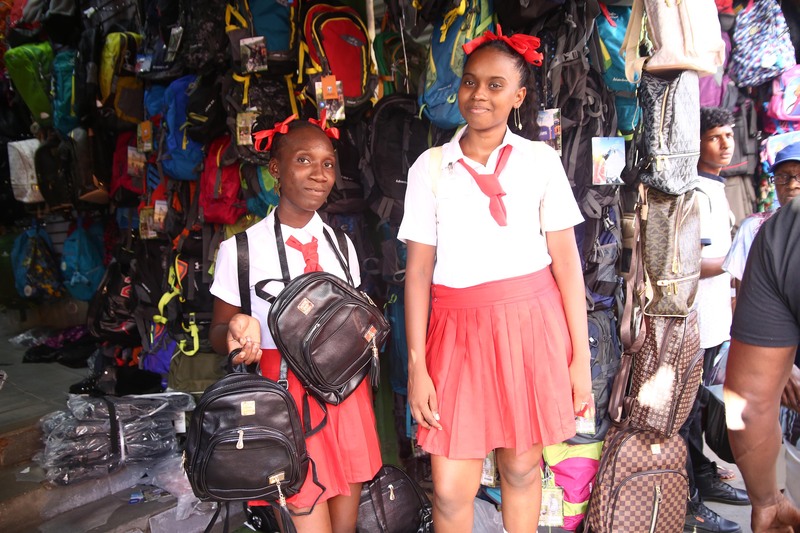 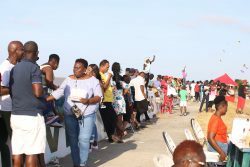 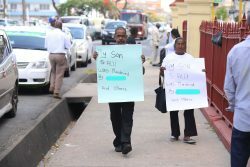 Though this year’s back to school shopping started slow, vendors told Stabroek News that over the last week it picked up, reaching a level that exceeded last year’s spending. 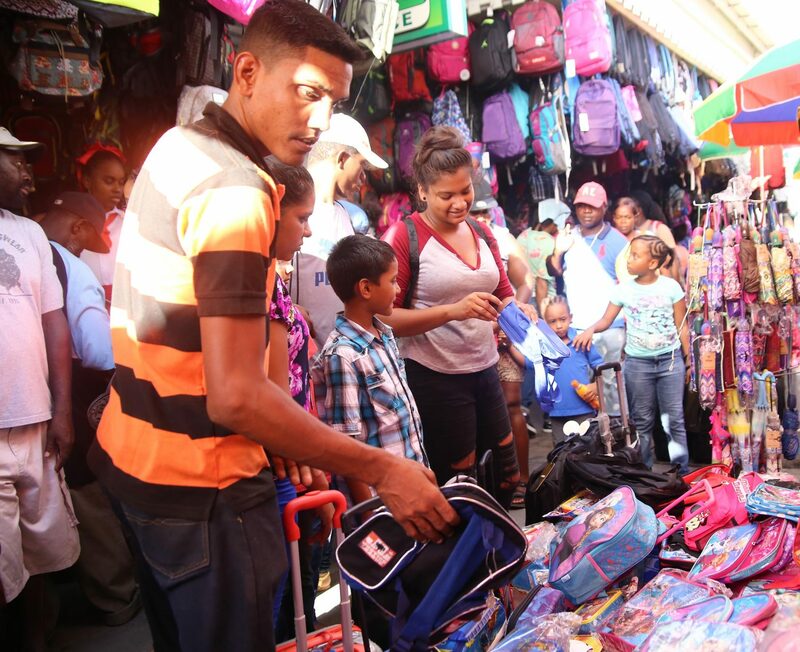 In this picture, a family selects book bags for their children.